Introducing the newly designed, practical sand bottle. Availaible in White or Grey. 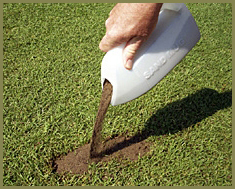 Click on the arrow below to watch a video on the SandMug. (more than old bottle design), while only 9 in. tall. 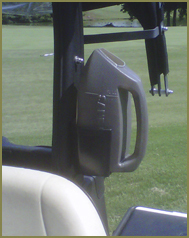 Compact, mounts anywhere with durable, rattle free bracket. Can view sand level at all times. Can be mounted in various locations. 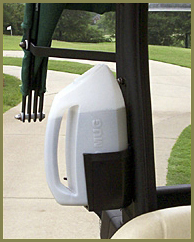 Built-in handle is convenient for players and bottle fillers. 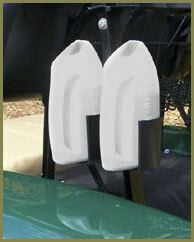 Available in single or double mount as shown.